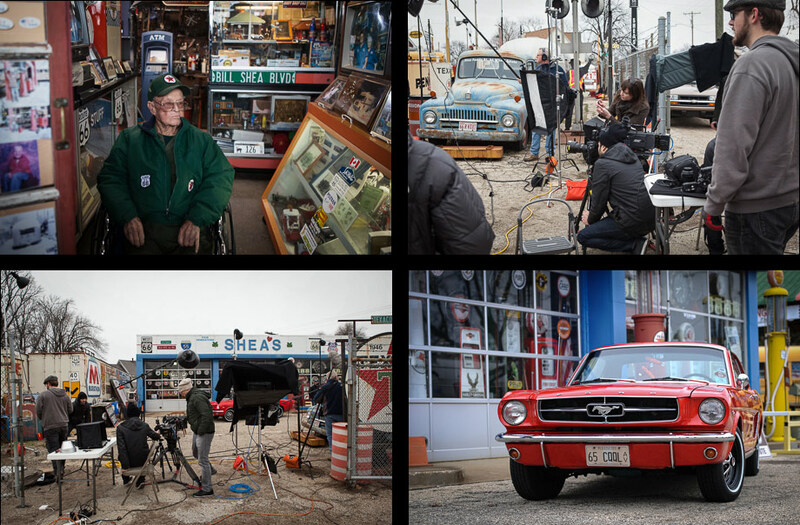 I had a bit of a dream assignment earlier this year photographing characters around Illinois with the team at JWT Chicago. The goal was to capture a set of heroic portraits – dark, moody & vignetted. 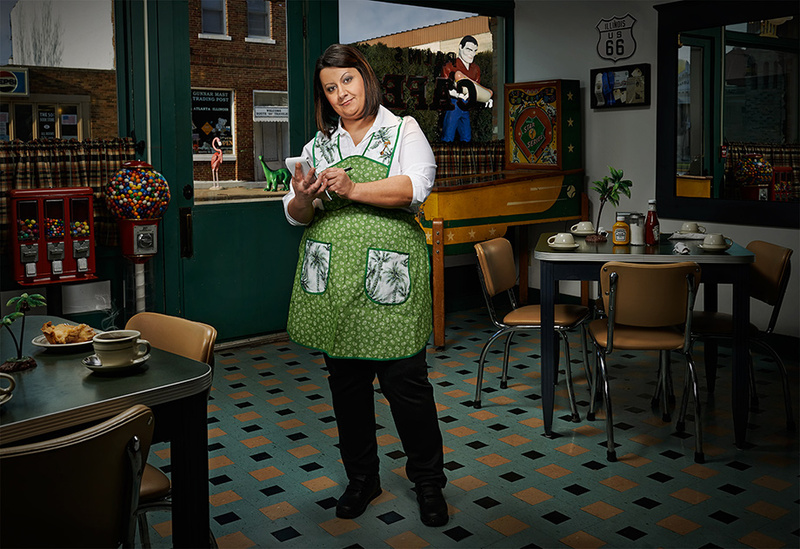 The project was slightly inspired by my American Characters series and was to showcase the interesting people connected with tourist destinations in Illinois. We ended up shooting with 5 people throughout the state. The photos are running now at discoverillinois.org and in print ads in Germany, China, & the UK. Special thanks to everyone at JWT along with all of the characters & crew members that helped out! Garret Moffett is a historian & the owner of Springfield Walks Ghost Tours. He’s also an expert on Abraham Lincoln. 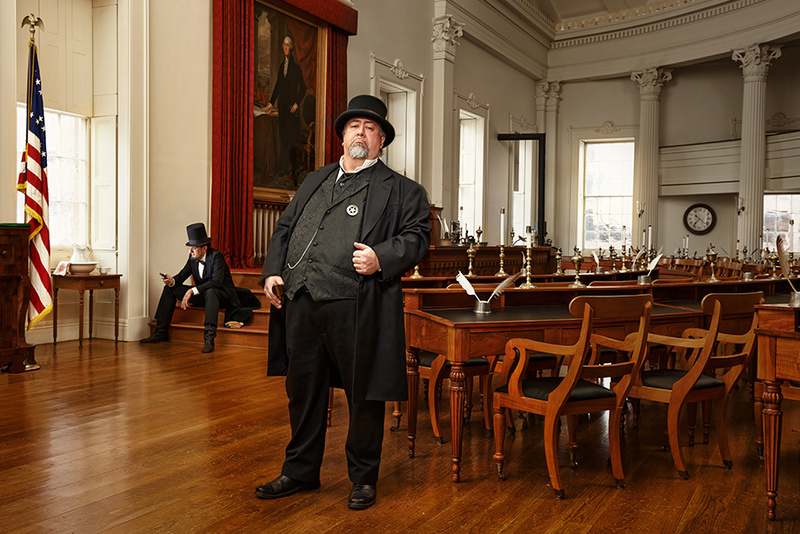 We photographed him at the Old State Capitol Building & had Abe hanging out in the background. 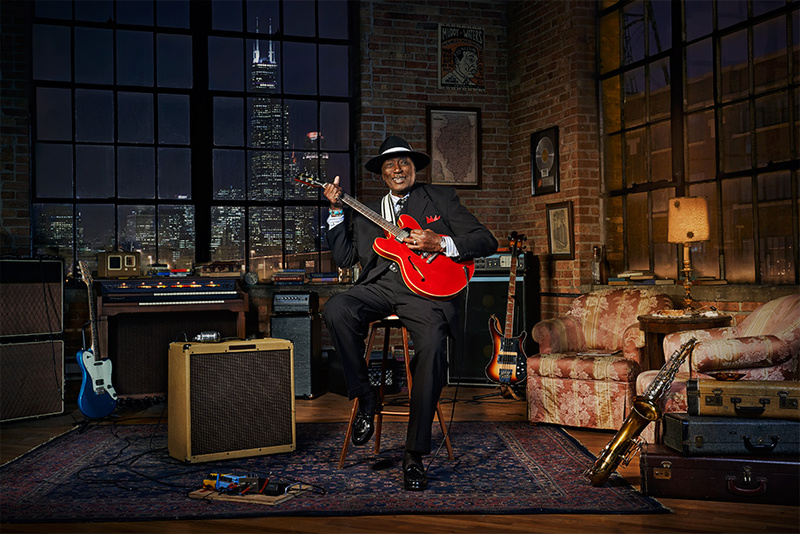 Eddy “The Chief” Clearwater is a Chicago blues musician that’s been performing since the 1950s. 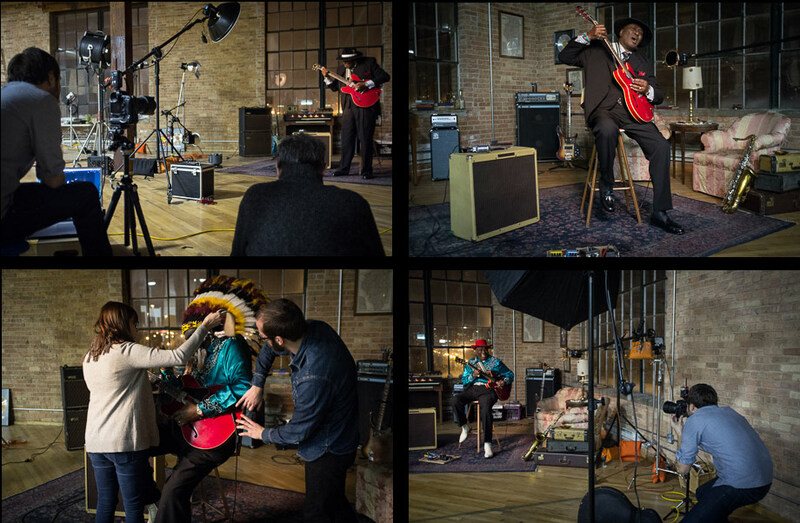 Eddy was a riot on set and sang sweet blues songs to everyone throughout the entire shoot. His regular practice space doesn’t have a view of the city we rented an empty loft in Pilsen and filled it with gear & props to create this location. 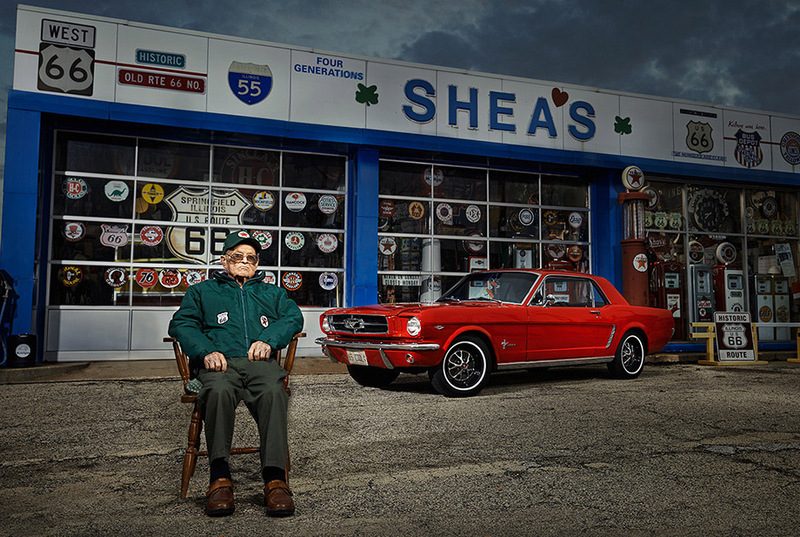 Bill Shea is a lifetime mechanic and owner of Shea’s Gas Station Museum on Route 66 in Springfield. Be sure to swing by for a dose of melancholic Americana if you’re ever downstate. 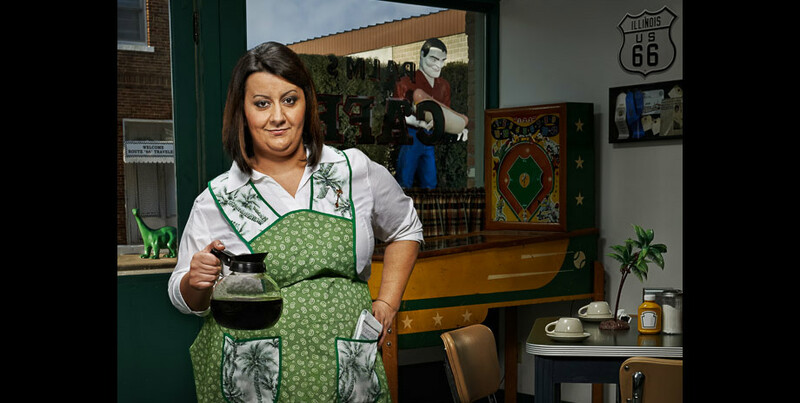 Lumi Bekteshi is a waitress & award winning pie-maker at the Palms Grill Cafe in Atlanta, Illinois. The Palms Grill opened in 1934 and has recently gone through restoration. 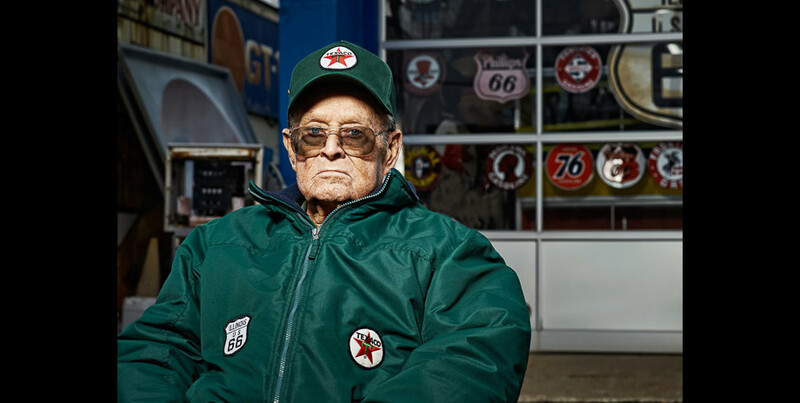 It’s the perfect spot to have lunch for anyone taking a trip down Route 66. Look out for the Paul Bunyan statue across the street too! 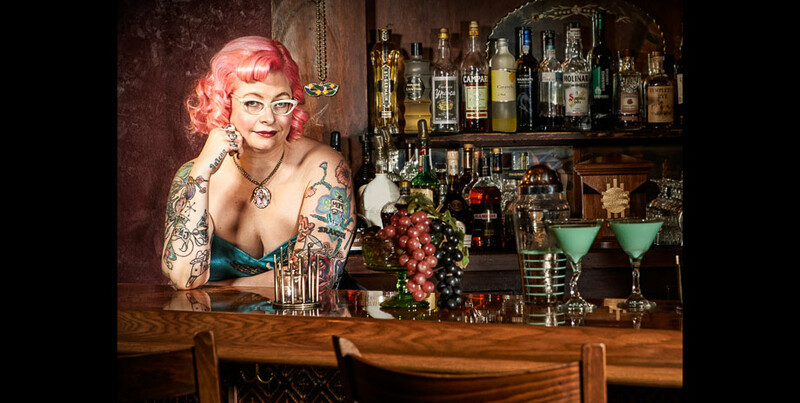 Miss Kitty owns The Grape Escape, a wine & martini lounge in Galena, Illinois. One of the only bars in Galena that’s open past 10pm, Miss Kitty brings some unique charm to the quaint town of Galena. 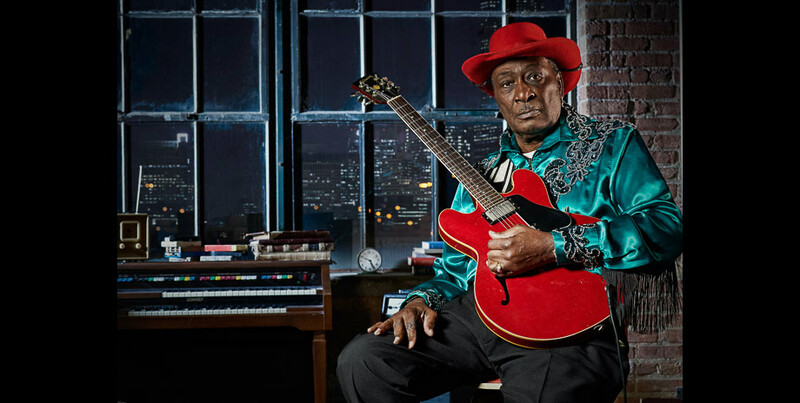 Awesome work Ross – glad to be a part of it. Great work, Ross! Really like the pix. Gritty look, lots of local contrast, almost an HDR feel. I’ll be your subject any day!